Shirts With Random Triangles: Arizona St. LB Ishmael Murphy-Richardson Dismissed From Team Following Arrest On Credit Card Fraud Charges. Details of the incident leading to Murphy-Richardson's arrest are limited. 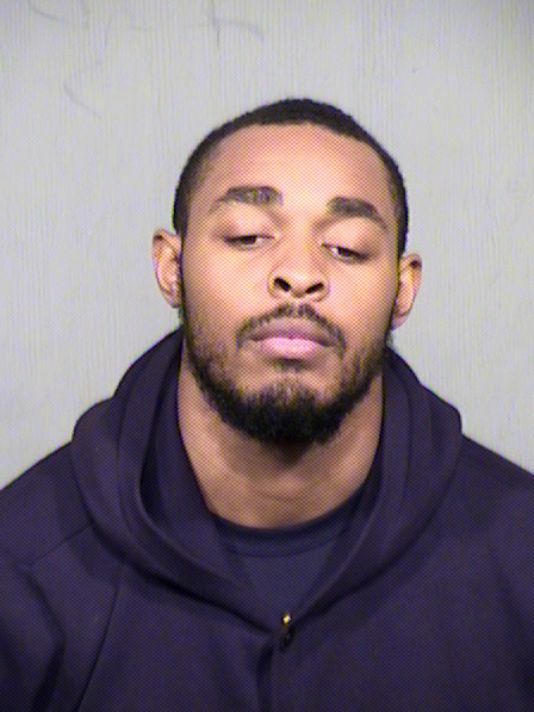 The Arizona Republic suggests the arrest is related to another incident in December of 2015, where two then-Arizona St. players, safety Jayme Otomewo and defensive tackle Deonte Reynolds, were arrested on charges of theft and burglary. Otomewo and Reynolds were dismissed following the incident. "Last month, ASU Police arrested sophomore defensive back Jayme Otomewo and defensive tackle Deonte Reynolds on theft and burglary charges. Murphy-Richardson's arrest appears connected to that incident. In that police report, an ASU student told campus police that she noticed someone listed as "Ishmael" looking through the wallets of three female students in an apartment. Murphy-Richardson was not initially charged." Murphy-Richardson, a redshirt freshman, was credited with 15 tackles and 2.5 sacks in the 2015 season. He was expected to be a starter for Arizona St. in the 2016 season before this incident.